Well, well, well. Friday again. I set my alarm for super early o’clock this morning. My plan was to work out (since I will be gone this weekend and we are leaving right after work), but when I woke up I was experiencing the floaty/blurry vision that lets me know a migraine is imminent. So instead of working out, I took some Excedrin and laid on the couch. And now I’m looking forward to a day of feeling exhaustion at work, due to both waking up early and a post migraine haze. And I don’t even have a workout to show for myself. Yayyyy. Why don’t we have nap rooms here? Google employees get nap rooms. On to more positive subjects, we are going to Charlotte this weekend to see my brother and sister-in-law! We are going to Scarowinds for Halloween. It will be really fun to have people jump out at us and scare us while running around the park with beers. I’m going to wear my new flannel shirt and drink pumpkin beer, #basic. I didn’t make any new recipes or finish any books this week (so unfortunate, those are two of my favorite activities), which are my typical talking points for Random Friday’s, so I’m kind of at a loss on what to talk about…I’m still reading The Goldfinch, and still having a hard time REALLY getting into it. We aren’t traveling next weekend, so I’m trying to pick a good house project to work on. Some contenders: Fix up the IKEA dressers in the guest room (seen in this post), frame the bathroom mirrors and update lighting (they currently look like the before picture in this post. Brass lighting and all. ), and/or work on printing pictures and hanging up frames that I have sitting up against the wall everywhere. About two months ago I fell down DEEP into the rabbit hole that is SkincareAddiction. I’ve been slowly changing up my face routine, and most recently added the red Stridex pads. My skin was doing some serious purging, but it’s FINALLY clearing up and I no longer have tiny bumps all over my face. My next step is to start adding some Vitamin C serum. I plan on making my own, lord help me. Psst, I made a new Travel list, you can access it from the Travel menu or click here. I’m sure this will be constantly changing and I plan on linking the recaps as I continue to write. Enjoy your weekend! If possible, take an amazing nap today, for me! I’ve gotten a question (kidding, I just felt like talking about it) about my current fitness routine. So buckle up, because I’m about to share more about my fitness than any other human could ever care to know. I’m the sort of person who NEEDS to follow a prescribed fitness program, I really don’t do well with trying to come up with stuff on my own and end up just dicking around aimlessly. It’s way too easy for me to be like “ok screw it, I will just elliptical and watch tv for hours on end per week, ensuring that I don’t actually exert any effort.” And while that’s certainly better than nothing, it’s not doing a whole lot to help me achieve the body that I want. I’ve followed a lot of programs (half marathon training, 30 Day Shred, Jillian Michael’s Body Revolution, Kayla Itsines’ Bikini Body Guide, New Rules of Weight Lifting for Women, Nike Training Club, Lauren Gleisberg’s 30×30, JNL Fusion to name a few) and have found that I do best with something that is mostly circuit training and strength moves. I like the variety and it seems to do the best with helping me lose weight (when that is my goal). I lost a decent amount of weight in the beginning of this year and through the summer while doing the Bikini Body Guide (BBG) and 30×30. Then I started half marathon training. I have yet to successfully drop pounds while training for any sort of race distance. I’m sure it’s possible, but either I don’t understand the calorie adjustments I need to make while running, or I have other external factors that cause me to lose motivation, or I just don’t push myself enough while running. Or something. It just doesn’t work for me. And I have these last 5 vanity pounds that I am somewhat committed to losing. BUT I also don’t want to give up my running endurance that I’ve built and would really like to focus on speed. So! That’s what my plan is for the next few months. I plan on updating you guys on the program and how I’m progressing and liking it as I go along and will be sure to do a full review of the program at the end! 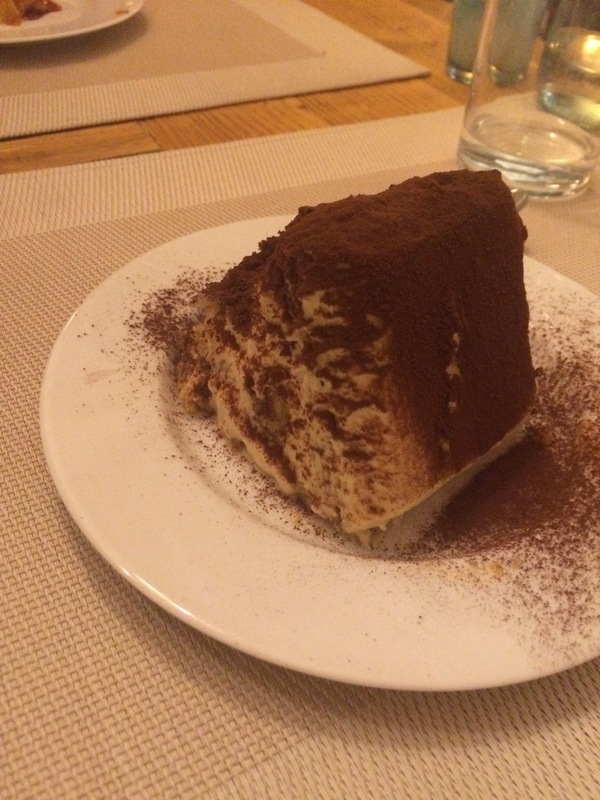 I’m so sad to be nearing the end of our Italy recaps. It’s been so fun to relive what was (and may still be) my favorite trip I’ve ever taken. I am planning to do two more posts, a recap of our day trip to Venice and a general thoughts and tips post, but am undecided what I want to do after that. I may do a few recaps of shorter trips I’ve done this year (Cayman Islands, NYC, Savannah GA) or jump right into our Greece recaps. Thoughts from the audience?? The morning of our 7th day in Italy we drove back to Florence to return our rental van. The driving part of our trip ended up going really well, of which we were thankful, but we were also ready to get rid of that damn thing and continue our adventure on two feet, thankyouverymuch. We took a cab from the rental car company to our hotel since it was about 1.5 miles away. We deemed that officially too far to drag our enormous luggage around. 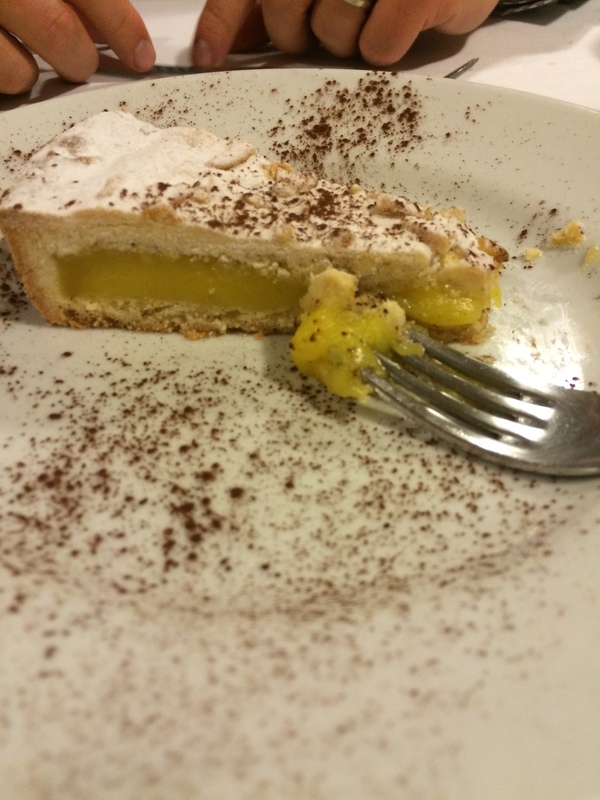 We stayed at the La Fortezza , which was relatively far out of town. 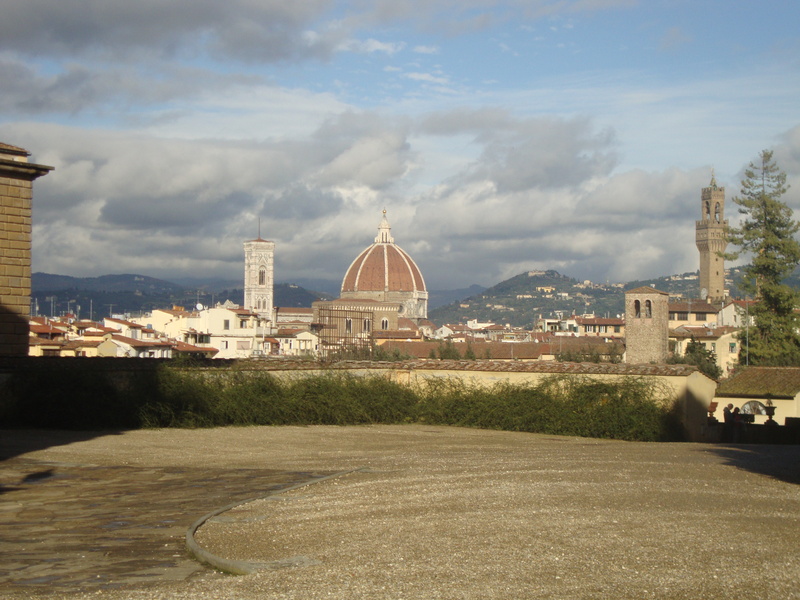 However, Florence is a much smaller city overall and we were probably the same distance, if not less, from all of the museums and sights than we were in Rome. The first thing we did was pick up our Firenze cards. 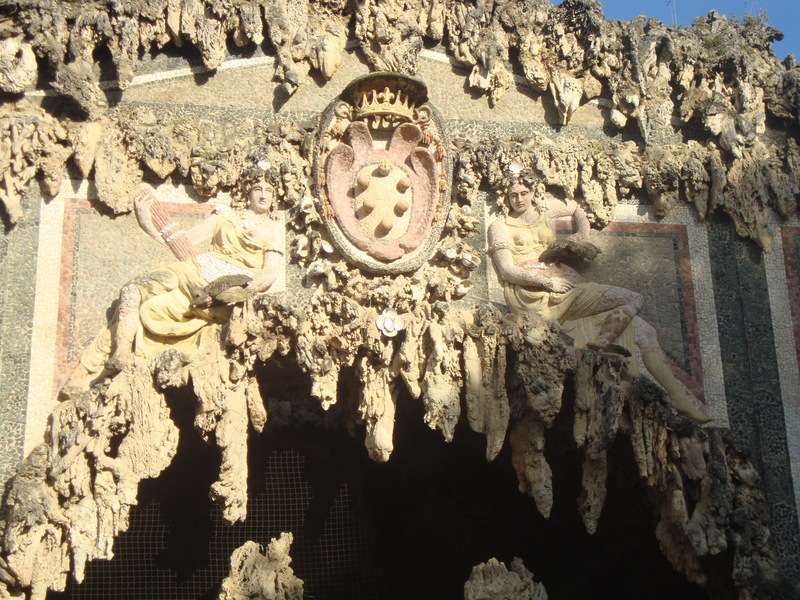 The Firenze card is a pass that gives you admittance to a ton of museums and sights all around Florence. I had heard of the card on Trip Advisor. The cost is €72, and for that you get admission to over 60 museums, gardens and sights, you get free public transportation and free wifi service. Doesn’t that sound amazing?? It is…kinda. I’ll go into more detail below. You can pick up the Firenze card from several offices all over Florence, so we got our card and headed off to our first museum. We decided to head to the Accademia first since we heard it was smaller than the Uffizi and we knew we would probably be wanting lunch in the near future. 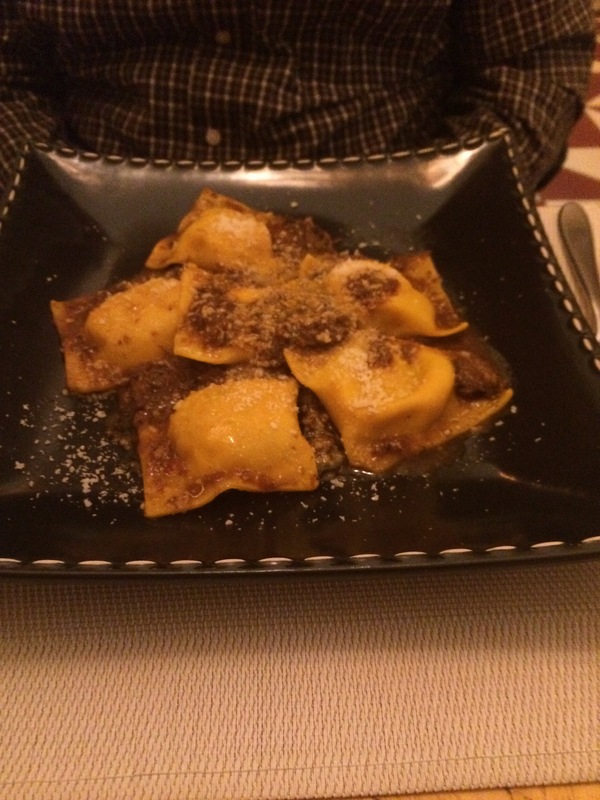 We used the Rick Steves app once again to listen to his Accademia audio tour. Obviously the Statue of David was the highlight of this museum, but I thought the audio tour did a great job of introducing us to the Renaissance and giving us a lot of background and history. 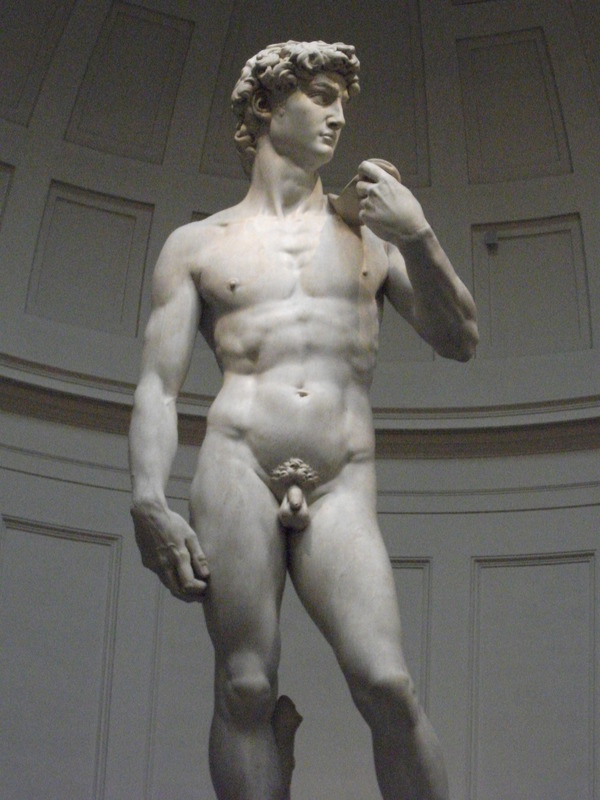 We spent a good amount of time with David, I love that you are able to circle around the whole statue. You can really see the details and the impressive reality from all angles! I apologize for even posting this. My photography does not do the statue justice at all. 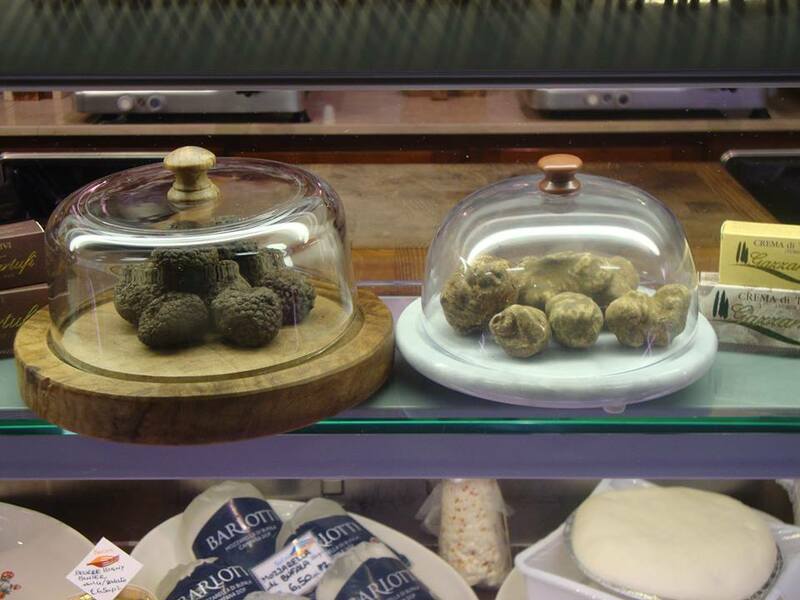 After we left the Accademia, we headed to Florence’s Central Market, Mercato Centrale. 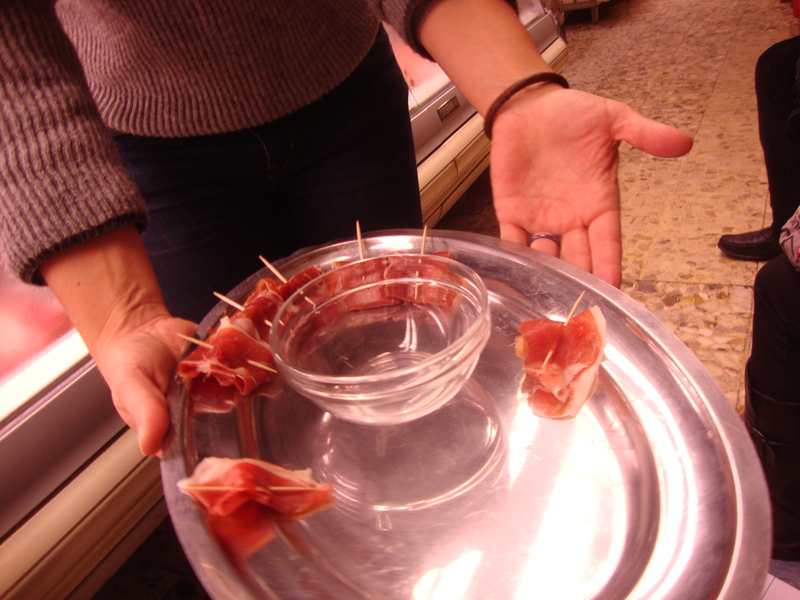 I had read a lot about this place before our trip and it is often described as foodie heaven. And it was. 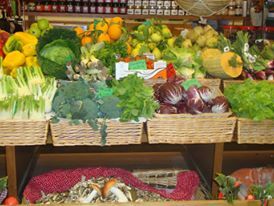 The market was built in 1874 in central Florence and was recently renovated in 2014. 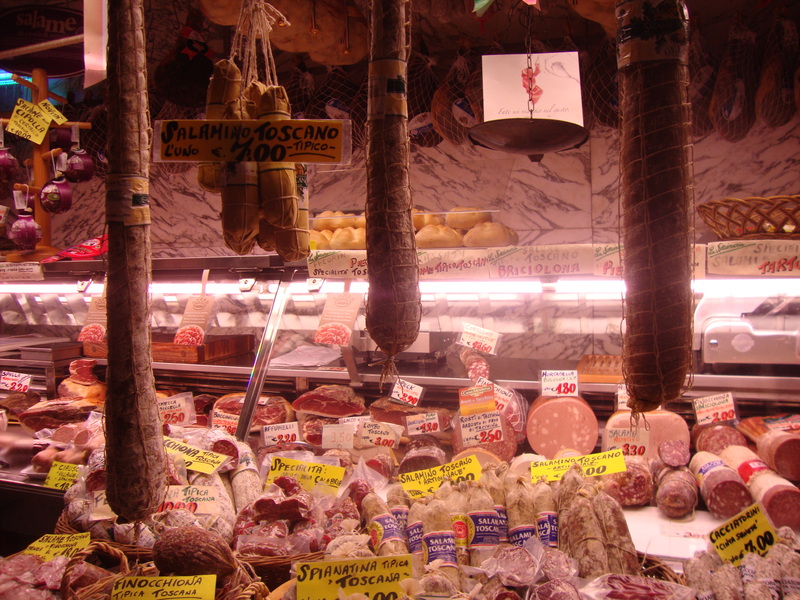 The bottom floor contains tons of food vendors selling pastas, meats, fish, produce, oils, etc. It was pretty cool to see different cuts of meat and vegetables than I normally find at our local grocery like tongue, testicles (yes, really) and truffle mushrooms (TRUFFLES). I bought a few packages of our new favorite pasta, pici, that Nick got to experience the joy of carrying around in his backpack for the rest of the day. The second floor of the market is kind of like an up-scale, quality food court. We headed upstairs and had a great time walking around and sampling and sharing different things to make up our lunch. I think the market is an EXCELLENT choice for lunch. 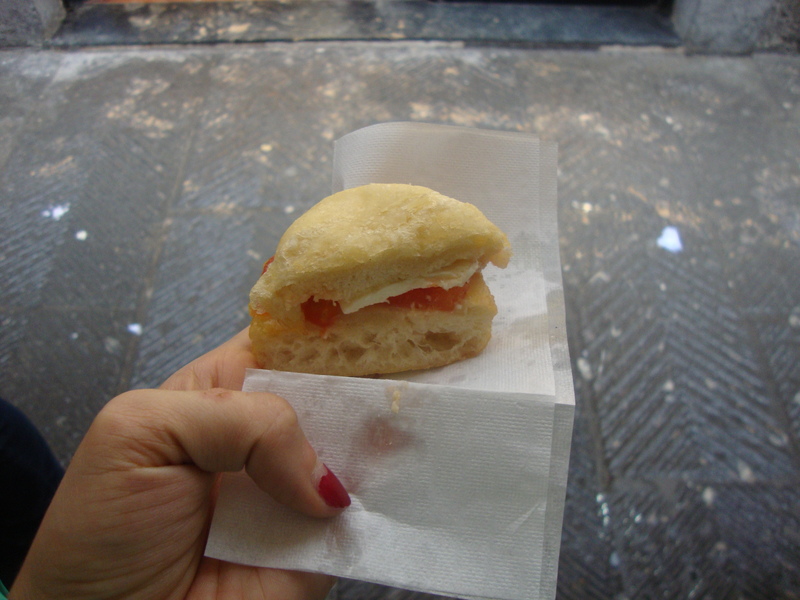 I could have done this every day during our time in Florence and been perfectly happy. 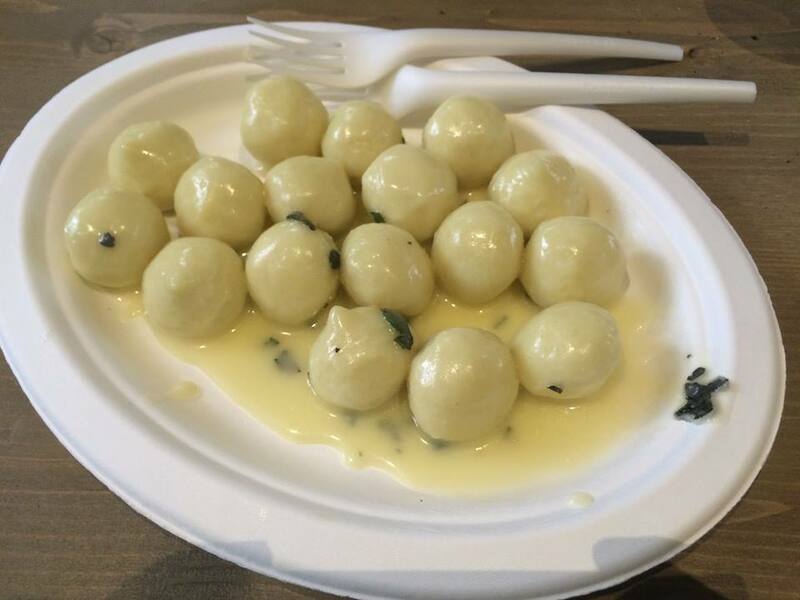 Brown Butter and Sage Cheese-Stuffed Gnocchi. Yes. Try this. 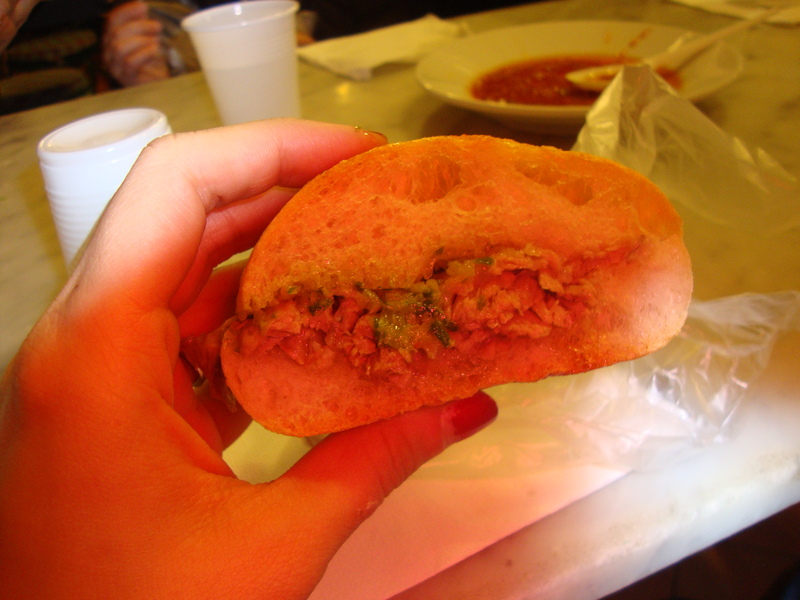 Pork sandwich. We also had a beef version. After the market, we headed to Florence’s other main tourist museum, the Uffizi. 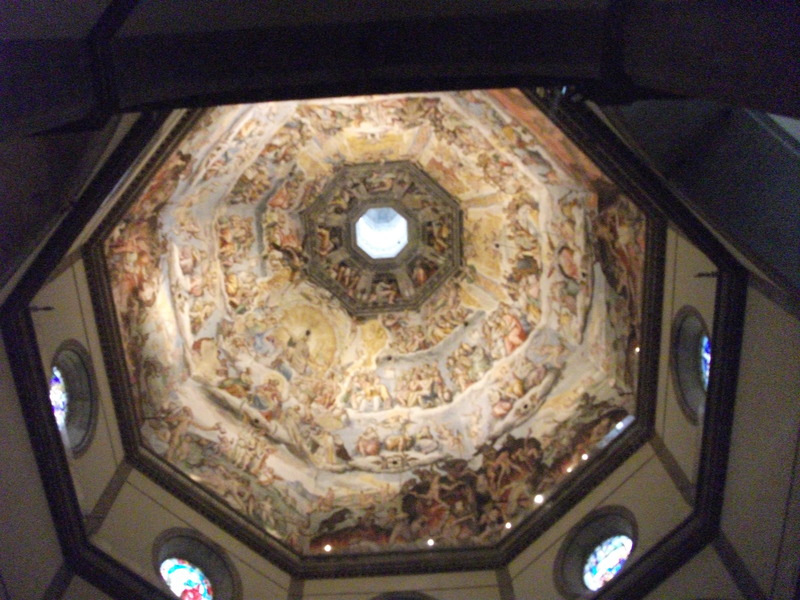 We used our Rick Steves app again and enjoyed a beautiful journey through Florentine art and the Renaissance. There are an almost overwhelming number of Madonna and Child paintings here, you can definitely feel the heavy religious influence of the paintings before the Renaissance. There are also a ton of iconic paintings and sculptures that you will recognize, including my favorites, Boticelli’s Birth of Venus and La Primavera. 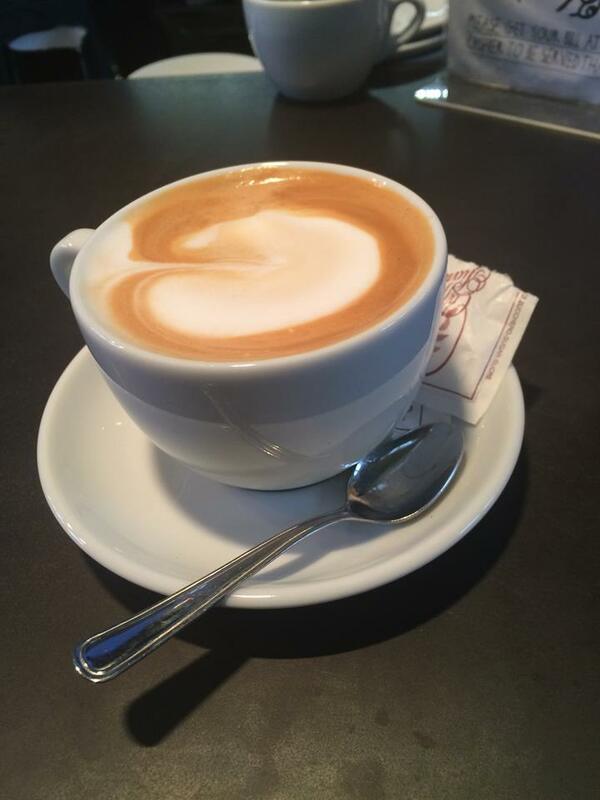 The Uffizi was a great experience, one that you definitely can’t miss if you visit Florence! It’s certainly ideal to visit both the Academia and the Uffizi if time allows, but if you have a tight time constraint, I would say definitely go to the Uffizi. There is so much more here and I think it’s overall a better use of limited time. Side note: There are obviously a ton of lesser-known, but also important and beautiful and worthwhile museums and art in Florence. My recommendations are assuming that potential visitors are like me, not a major art buff, but a somewhat ignorant admirer. Someone who wants to see the main events, but would probably not be happy spending days upon days only in museums. This guide hits on some other major museums to check out if that’s your thing, or you could read an article like this if you want to get really obscure! We struggled a bit with what to do with ourselves after we left the Uffizi, but eventually realized we had enough time to do a quick jaunt over to the Duomo. 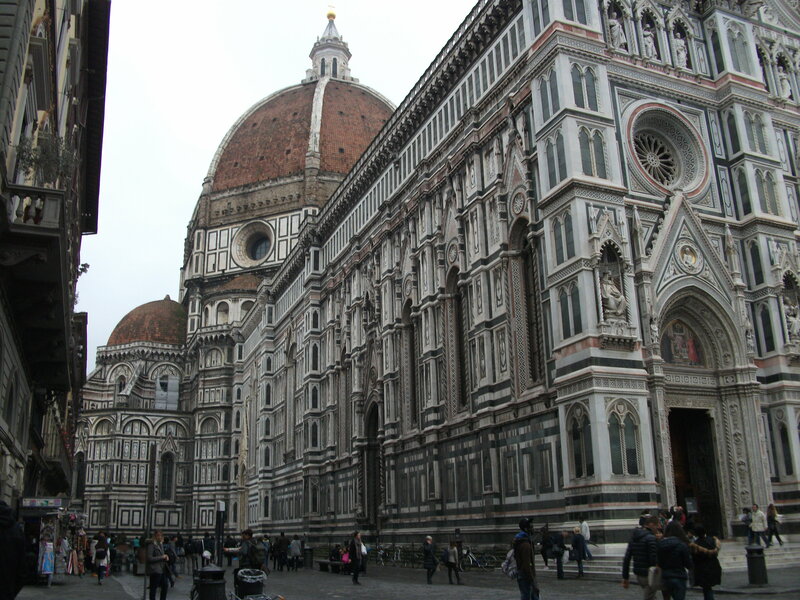 The Duomo is the iconic top of the Florence Cathedral, the Santa Marie del Fiore Cathedral. 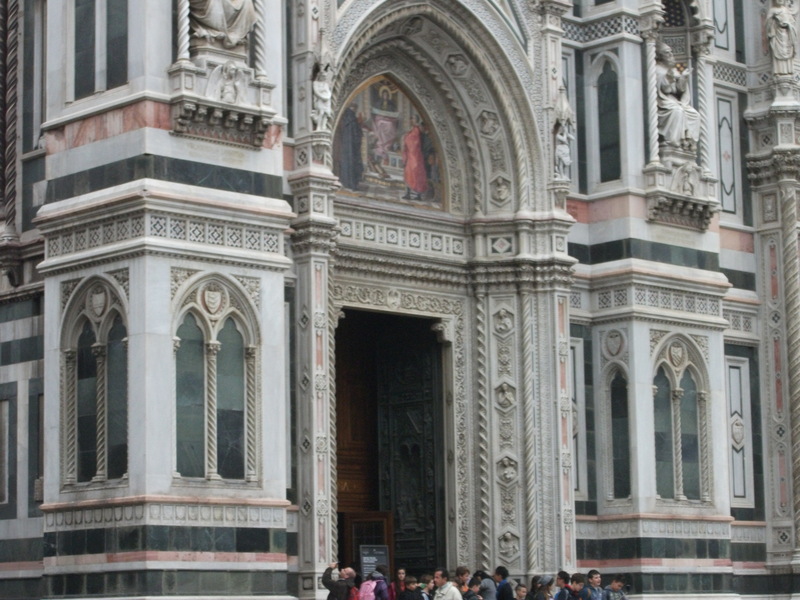 It’s located in the Piazza Duomo (go figure), and has several related sites. There is a Duomo museum, Museo dell’Opera del Duomo, the cathedral itself, the climb to the Duomo top, the Baptistry, and the bell tower. We ended up checking out the Baptistry and the cathedral, and then engage in our absolute favorite activity of the trip, climbing tall things. The Baptistry was cool, we didn’t originally intend to stop in but it was sort of one of those things where we were walking by and it was like “Is this part of the site…? Do our cards work here?” and there was no line so we meandered on in. It’s a very short site to see, it’s small and there are benches inside. We sat for a few minutes and enjoyed a nice break to view the beautiful art inside. The Baptistry also has these really amazing looking gold doors that are worth checking out, you can see these from the outside. Next we made our way to the cathedral (which was surprisngly subdued inside, in contrast to the ornate pink and green marble exterior) and then got to climbing. The views were awesome and I will let the photos speak for themselves! Trying not to let on how exhausted and sweaty I am from the climb. The less glamorous and decidedly more creepy part, but the views are worth it. After checking out the Duomo, we headed back to the hotel to get ready for dinner. 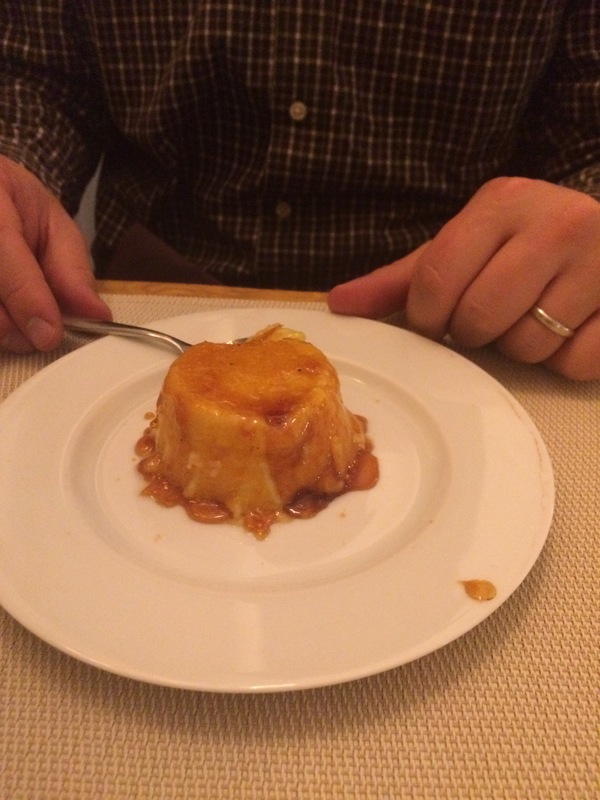 We used Yelp again to find a good sounding restaurant, but I can’t find the name of this one. 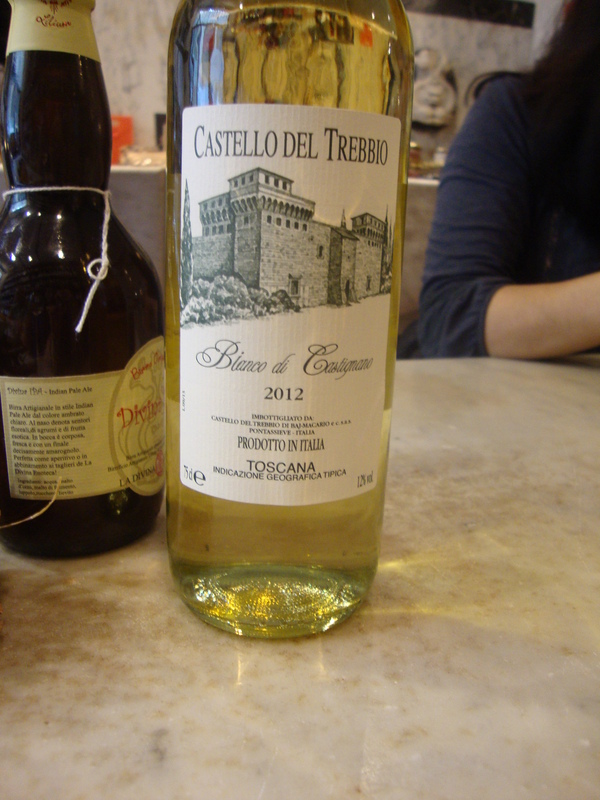 We ended up liking it, but not thinking it was AMAZING (it was no Da Enzo, that’s for damn sure). 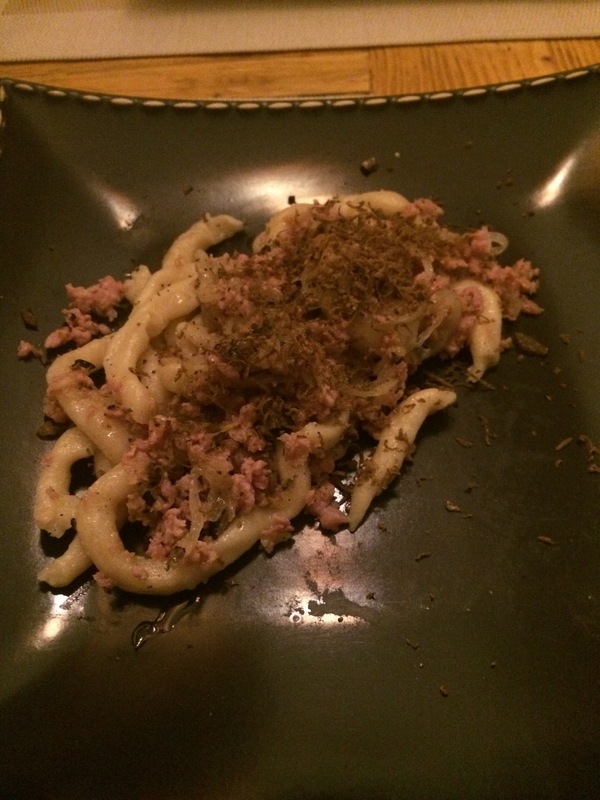 Pasta with smoked pork and truffle shavings. I was actually a little disappointed in this, it didn’t have the intense truffle flavor of Antica Trattoria la Torre’s ravioli. 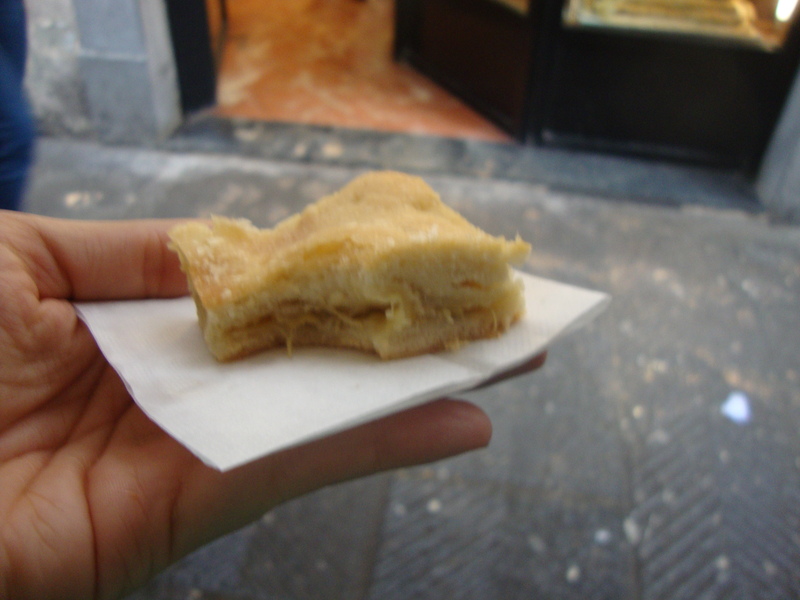 The next day was actually Thanksgiving and we had a really exciting activity planned, we wanted to make the whole day about FOOD and signed up for a Taste Florence food tour! 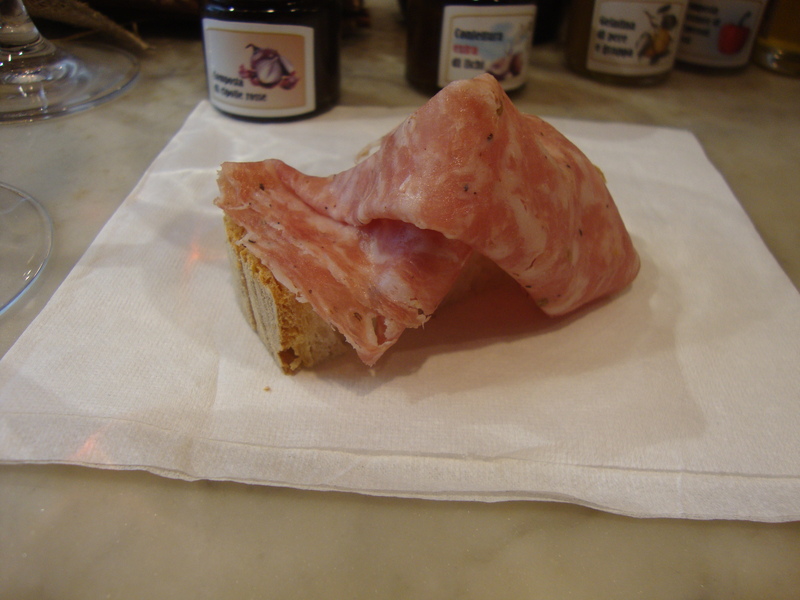 The tour was great, we got to try pastries, meats, an awesome trip back to Mercato Centrale, sandwiches, wine, balsamic vinegars and gelato. We paid €77 per person for the tour, but looking at the website now, it seems the prices have gone up. I thoroughly enjoyed the tour, Nick felt the tour was a little expensive for the food that we got. 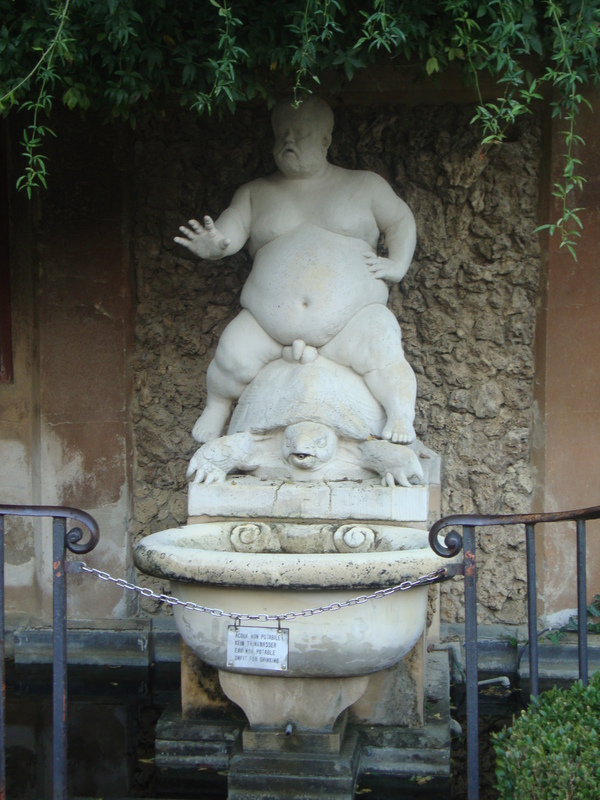 I see his point, but I think the guide and the knowledge of Florentine cuisine was worth it. 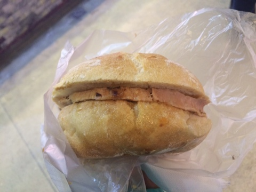 Not actually even sure what this is…some kind of sweet? 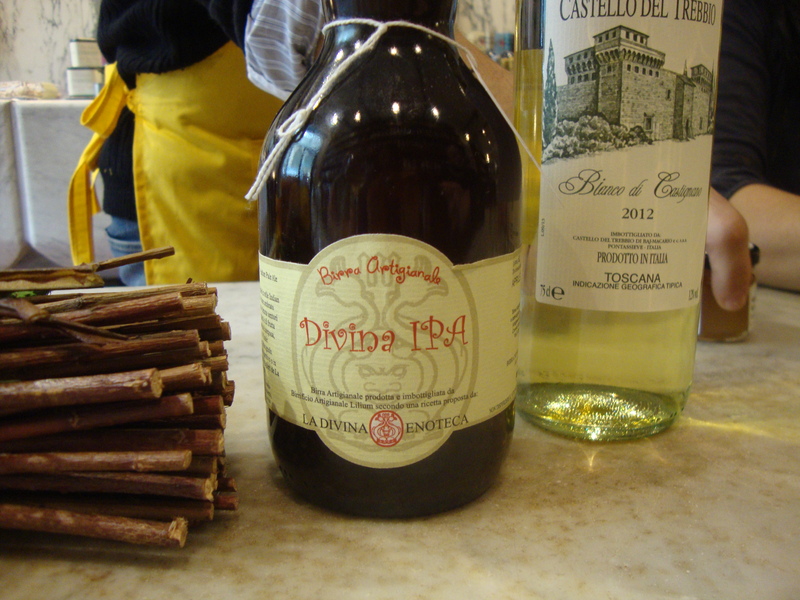 Craft beer is becoming more popular in Italy, this was an IPA that the shop owner starting brewing. 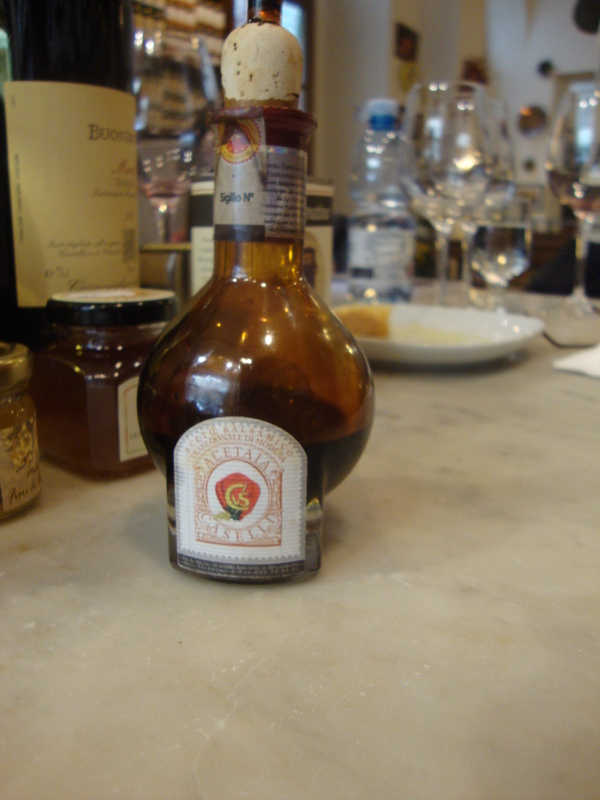 Aged balsamic vinegar. 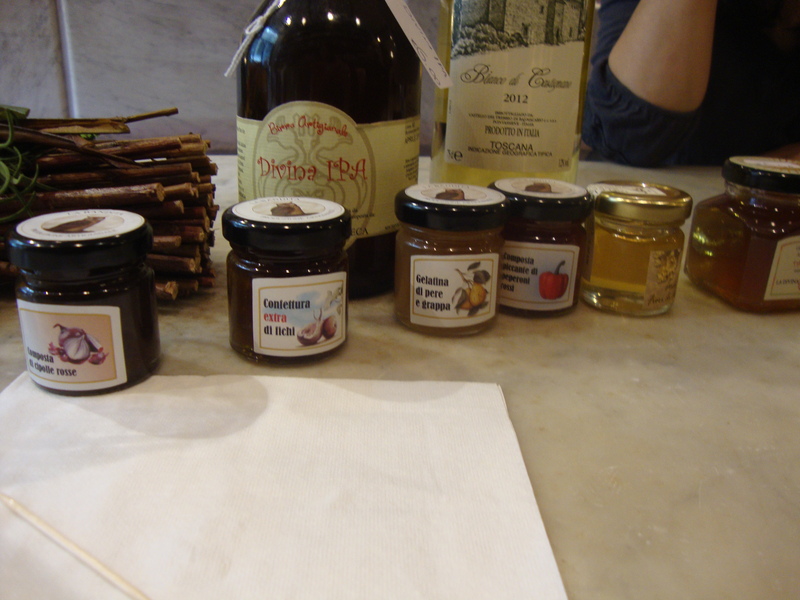 We tried all kinds of different ages of balsamic, it was crazy to see the difference! 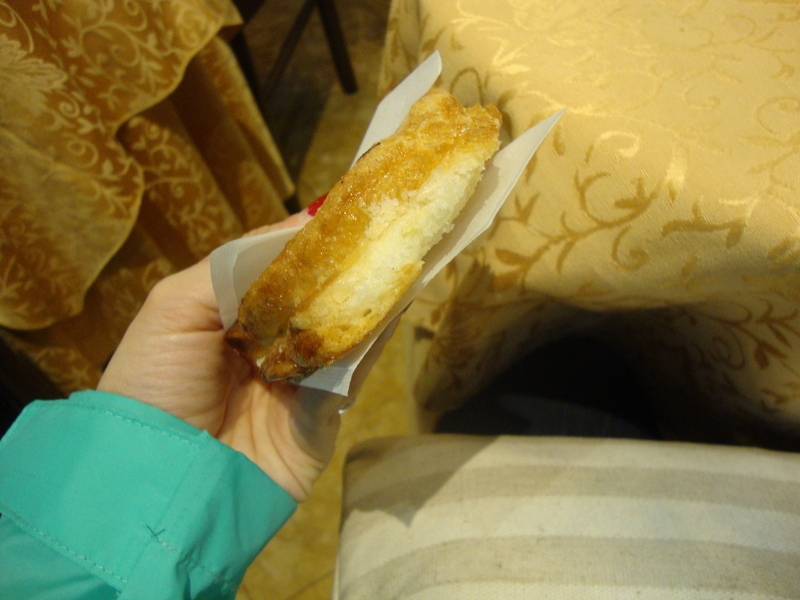 This was the oldest and was syrupy and sweet and DELICIOUS. 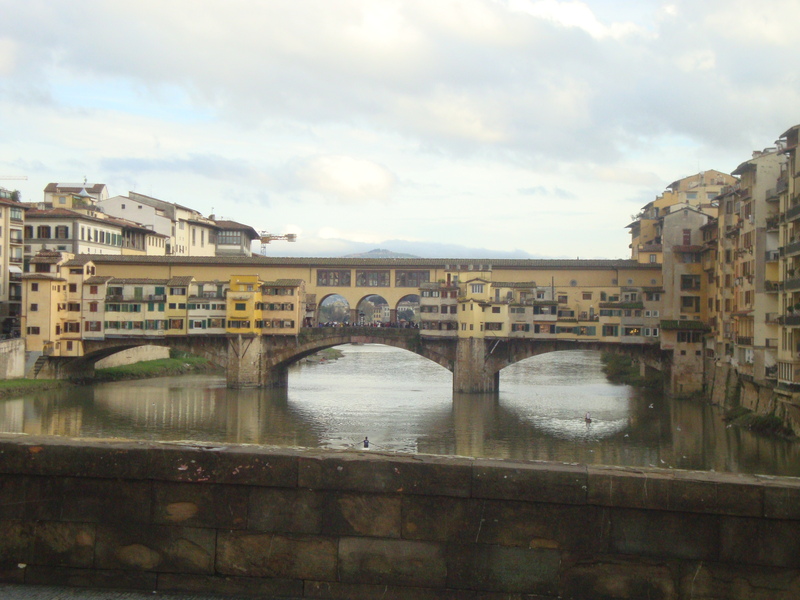 After the food tour, we had a few more Florence sites that we wanted to cross off the list, Ponte Vecchio and the Boboli Gardens. 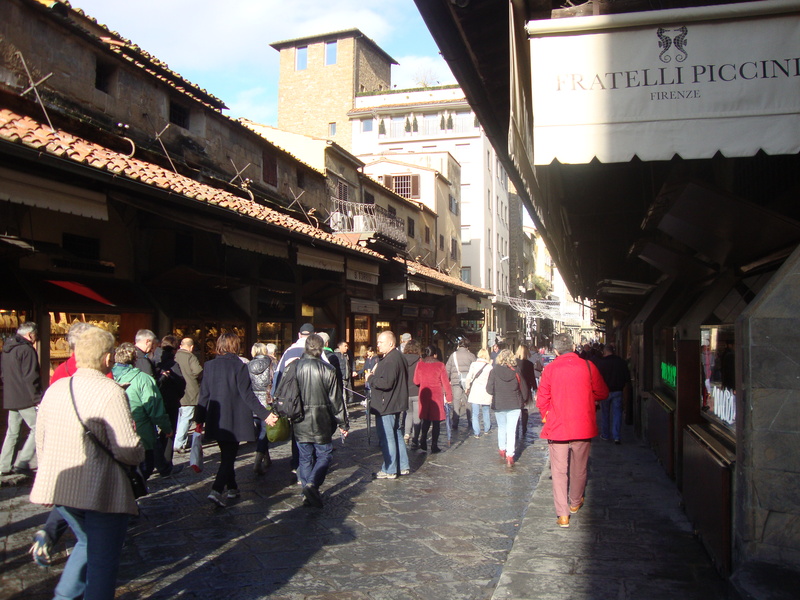 Ponte Vecchio is an old bridge in Florence that has shops and apartments right along the bridge. We walked across and checked out the shops. There were a lot of souvenir and jewelry shops, it was really neat to walk around. 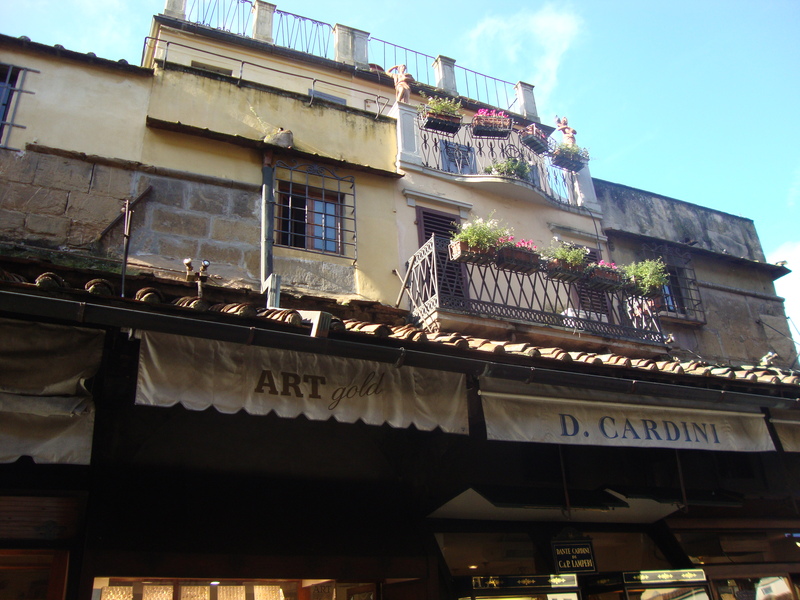 We also found a few really nice souvenir shops on the street parallel to the river, right next to Ponte Vecchio. These shops had a lot of unique items that seemed better quality than the super touristy stands. Can you imagine living on this bridge? 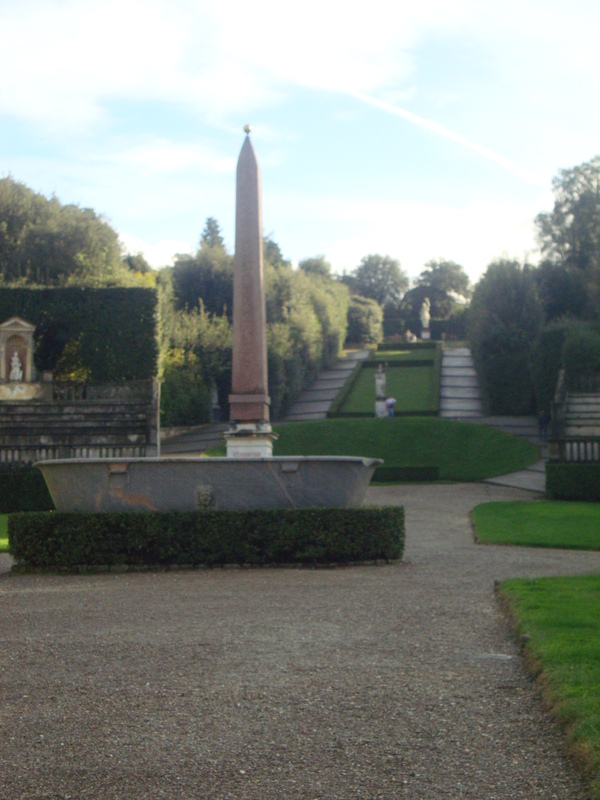 After the bridge and some shopping, we headed to the Boboli Gardens. 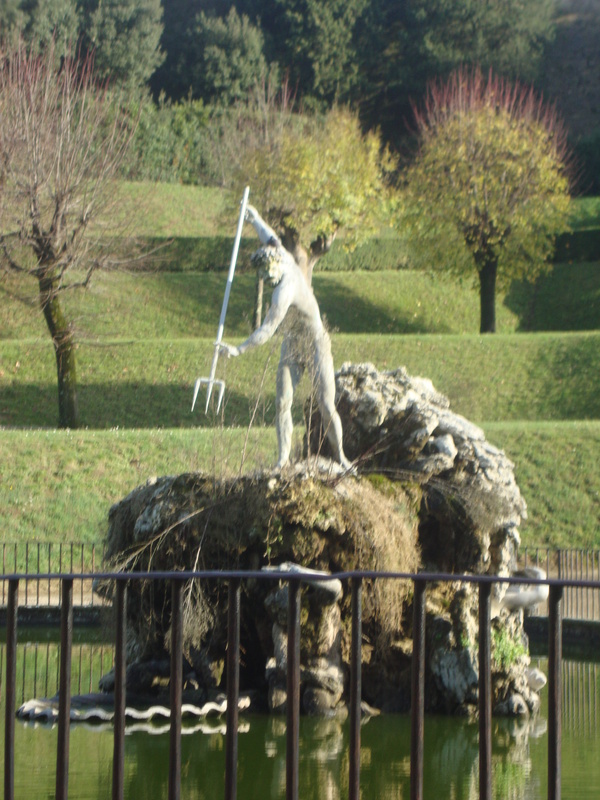 The Boboli Gardens are a park in Florence that have beautiful landscaping and flowers. 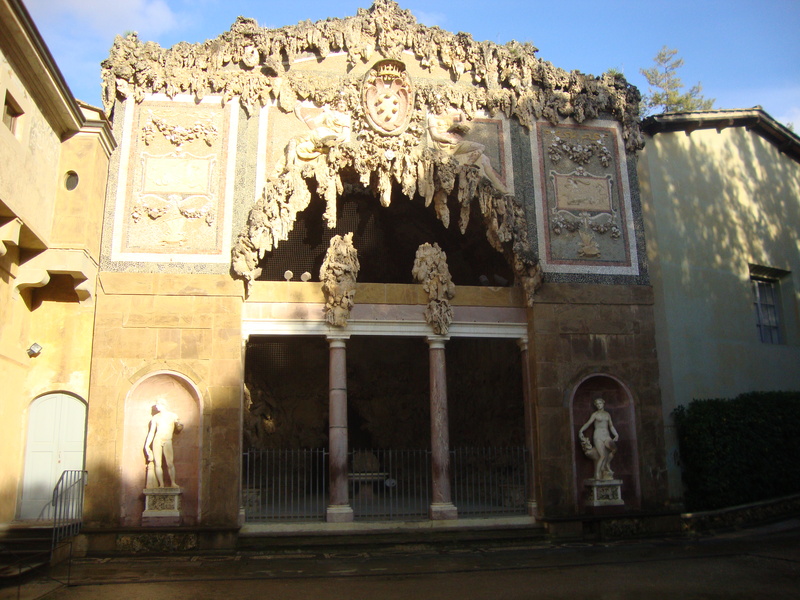 They were designed and built by the Medici family, as were so many many things in Florence and the rest of Italy. By the time we got to the gardens, we were both pretty tired and wanting dinner. This, combined with not having an intense interest in gardens led to a less than ideal experience here. I wish that we had allowed ourselves some more time, had a snack, and did some more research ahead of time. If we had narrowed down what parts of the garden we wanted to see and had some focus, I think we would have had a better time. 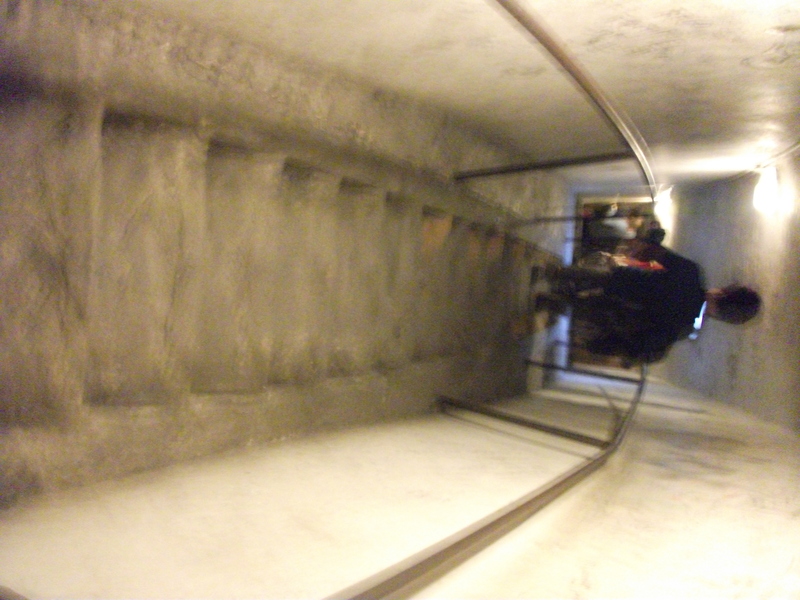 Instead, we kind of wandered around and sped our way through. Our Thanksgiving meal was really out of this world. This was Nick’s absolutely favorite meal of the whole trip, and it is definitely up there for me too. 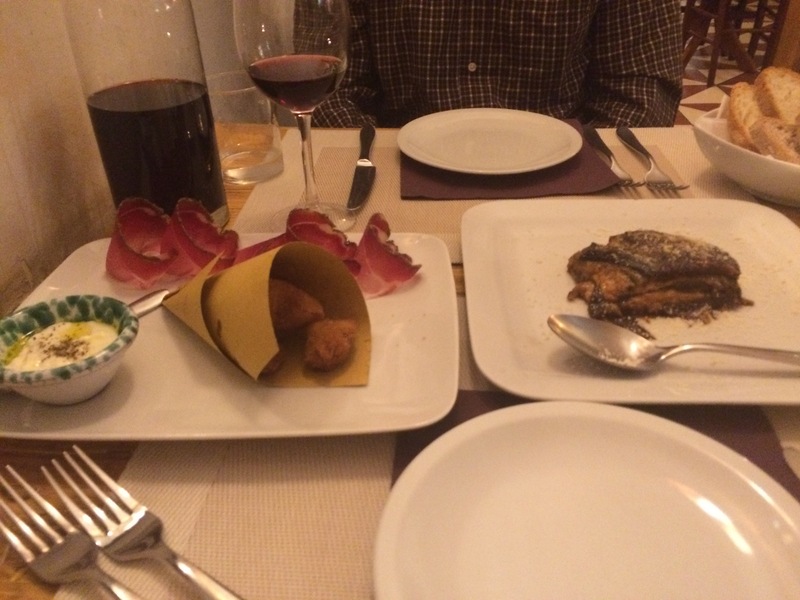 I would put this meal, Da Enzo, and Antica Trattoria La Torre in my top three of the trip. 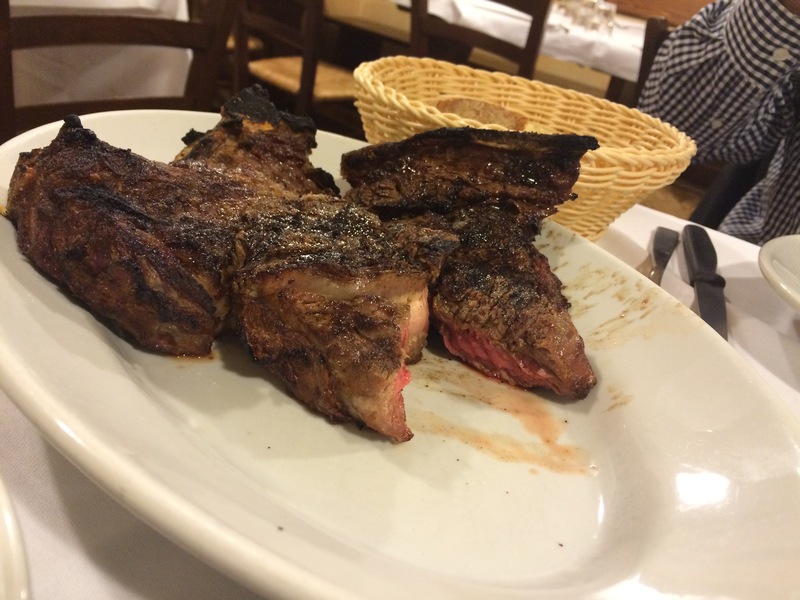 We actually got the restaurant recommendation from our food tour guide, she said this is one of her personal favorites for Tuscan T-bone. 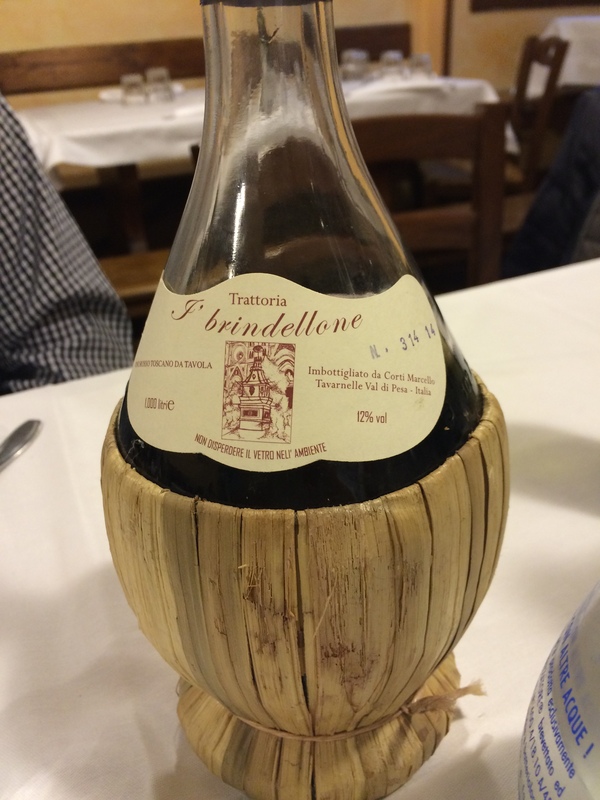 The restaurant name was Trattoria Brindellone. The location was pretty far from our hotel, but was so so worth it. The staff here was really friendly too and we got great service. 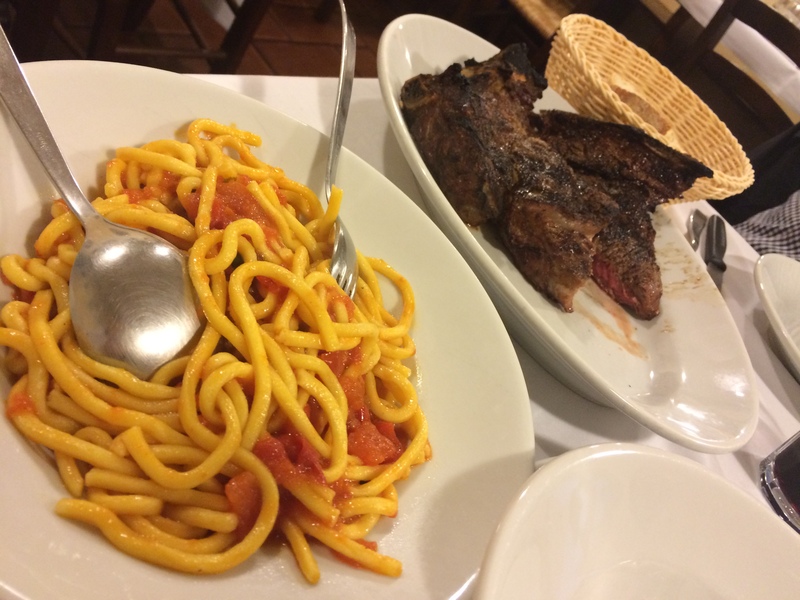 Tuscan T-bone and Pici Marinara. So simple, but so well done. More grandma’s cake! Just as good as the first place. Vanilla cream and wafers. 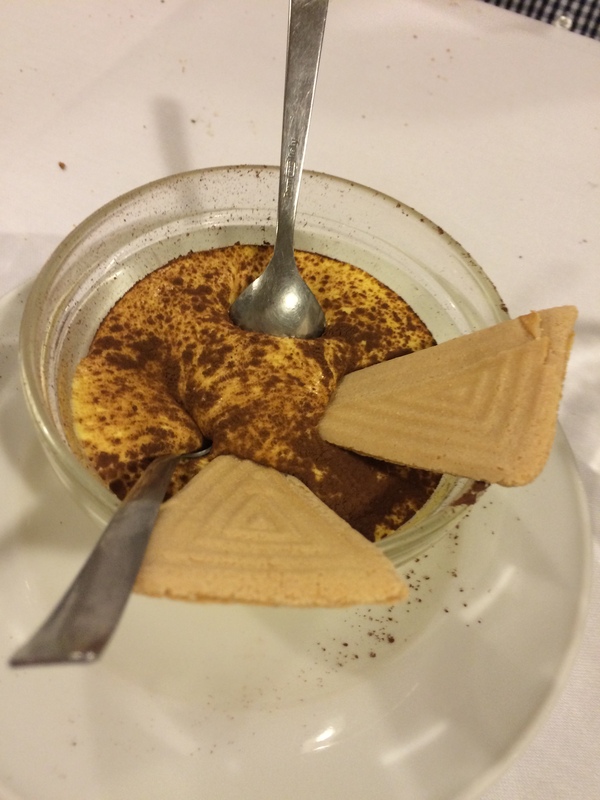 This was recommended by the waiter and we really enjoyed it. 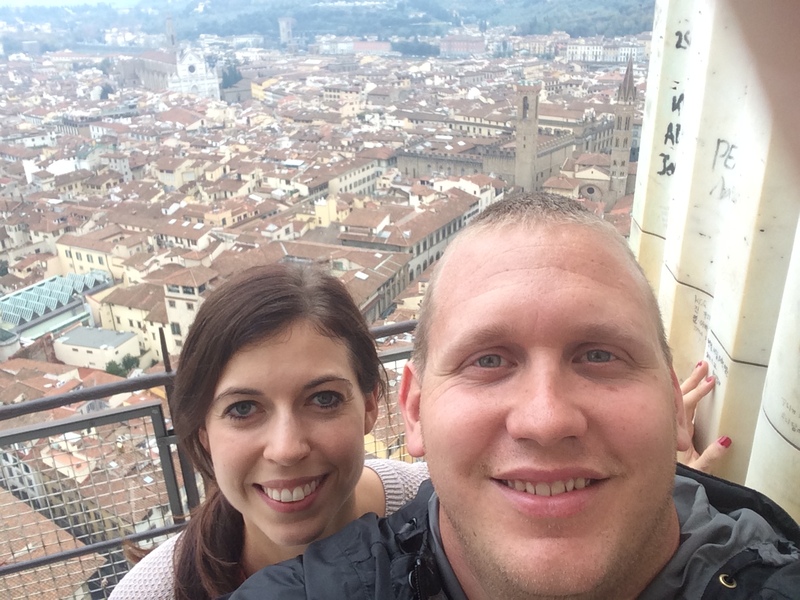 We had a great time in Florence and were able to pack so much into these two days. That night after dinner we were throwing around some ideas for our last day, but had a hard time coming up with a list of MUST DO’s that would fill up a whole day. We brought up the idea of doing an excursion for our last day and saw that Venice was only a two hours high speed train ride away. 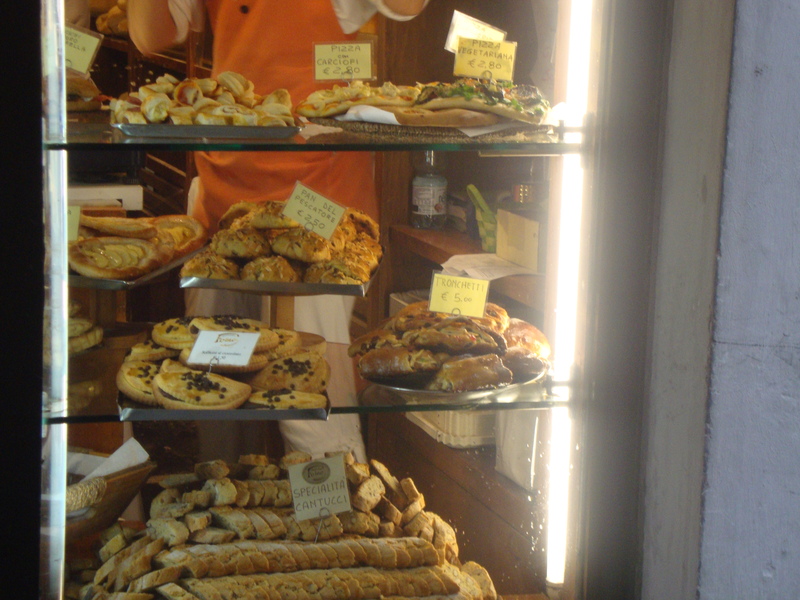 It was a tough choice, because there is really so much you COULD do in Florence. I’m sure we could have found things that would have been interesting and worthwhile, but we felt like we checked all of our priority items off the list and the opportunity of seeing a new city was so enticing. 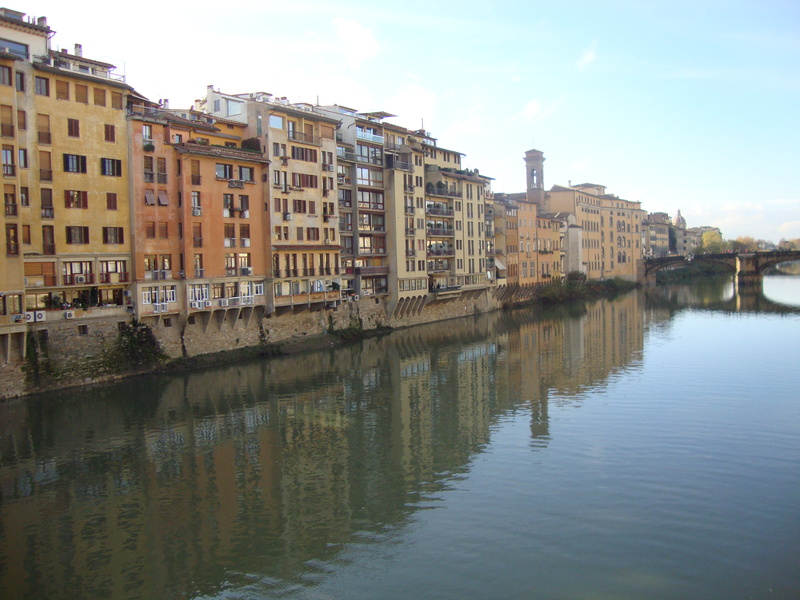 We went ahead and booked the excursion, and thus, concluded our time in Florence! In retrospect, I think we definitely could have gone without the Firenze card. It’s really awesome in theory, and I think it’s absolutely worthwhile for someone going in peak season. The card allows you to skip the ticket lines and go straight to the sites, which is the real value I think. However, in November these lines were small or non-existent, so I don’t think we really got our money’s worth. If I were to go back in peak season, I would probably consider getting it again though.